Still going strong, Salter’s Steamers have been carrying passengers on the Thames since the mid-19th century. Elizabeth Rogers talks to Paul Salter, the sixth generation of the family to run the business. 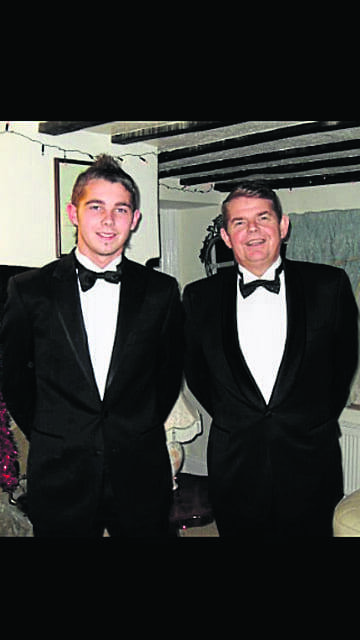 PAUL Salter is now at the helm of Salter’s Steamers Ltd, having succeeded his father John as managing director. But although semi-retired from the day-to-day running of the business, John (pictured below with Paul) is still very much involved. On leaving school, Paul joined the family business and spent five years working alongside a senior member of the staff before taking over the main responsibilities. Does he get out on the boats at all nowadays? “No, I am mainly based in the office, dealing with the management of staff, accounts and payroll,” he told me. The number of staff involved in the operating of the cruise trips and charter boats which the company runs shows an increase during the summer season from May to September to between 25 and 30, including some working part-time. 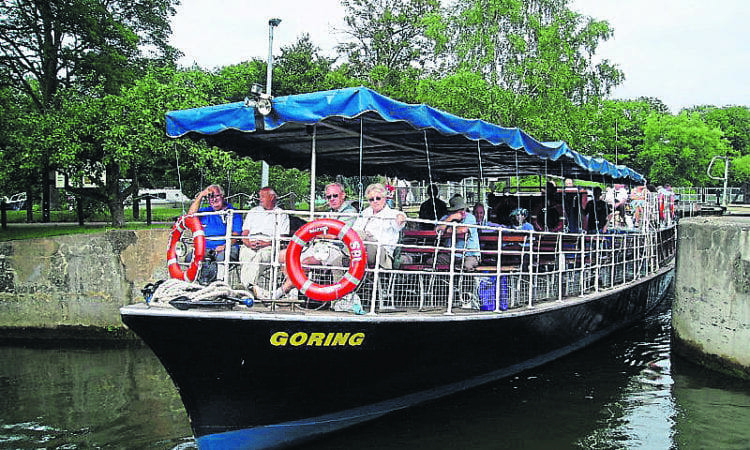 There are staff based at the various locations along the Thames from which Salter’s runs its cruises – Reading, Marlow, Windsor, Wallingford and Abingdon, as well as from the main centre in Oxford. The current fleet numbers 11, said Paul. These can carry 150 passengers on the scheduled cruises or on charter hirings. The seating can be reconfigured accordingly, he explained. A fleet of around 30 self-drive hire boats of varying sizes can carry up to 12 people. Any higher number requires the person in charge to have a skipper’s licence. 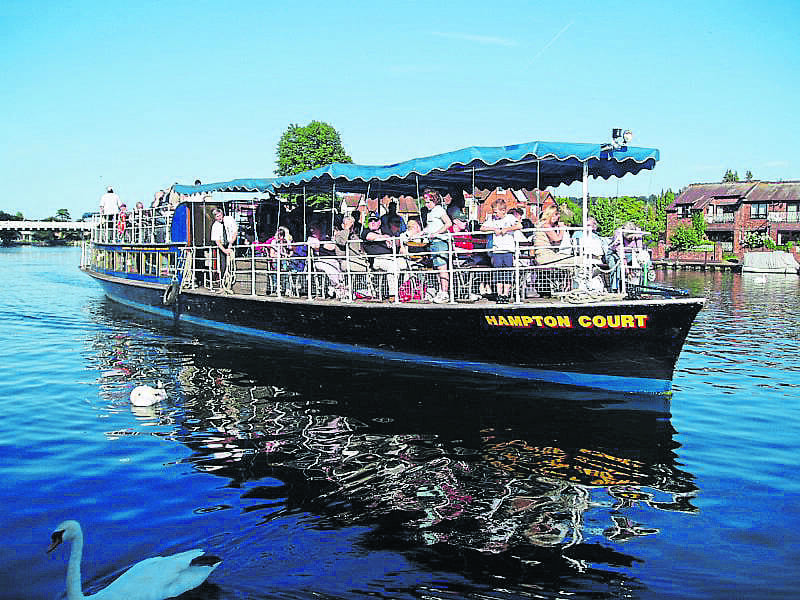 The older boats are named after places or the stretches of the River Thames through which the cruises travel, such as Wargrave, Goring, Hampton Court and Reading and of course there is an Oxford boat. Charter cruises, for conferences, weddings and various celebrations, represent the greater part of boat activity, said Paul. 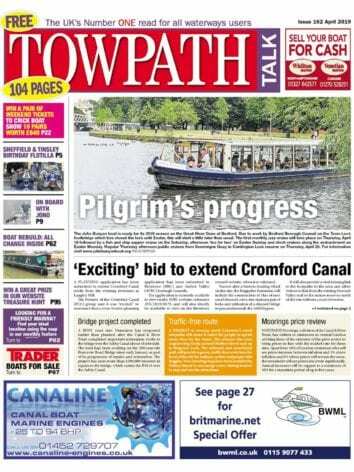 But for those which offer trips between its many locations on the river, there is also a continuing popularity. “The weather can cause us problems, but we always try to run the services as much as possible to those advertised,” he said. Boat building was the main focus of the business when it was founded by John and Stephen Salter, who already had a close association with the river. Their parents kept a waterside tavern, The Feathers Inn at Wandsworth, by the mouth of the River Wandle. They also had an elder brother Harry, who was the foremost rowing coach of the era. The two younger brothers built and raced boats in many regattas; one of their boats was used by the Cambridge crew in the university boat race. Later the company would build the boat for Oxford that took them to victory in the 1976 race. The brothers moved to Oxford in 1858, with the objective of tapping into the city’s burgeoning rowing scene. There they built up the business in building, selling and renting boats; among their designs were those for the famous college barges that were also used as clubhouses. By 1860 Salter’s were the leading boatbuilders in the country. The business had grown rapidly and it was one of only a few local companies that were exporting globally. Pictured below is Alaska, acquired by Salter’s in 1887, and which operated on the Oxford to Kingston service which started the following year. The company began to focus more on the pleasure-boat market than on racing boats and by the late 1930s boat rentals were so popular that the rental fleet had reached a vast 900 vessels. Recreational camping was also on the rise, and the company supplied tents which could be used either on deck or on the river bank. 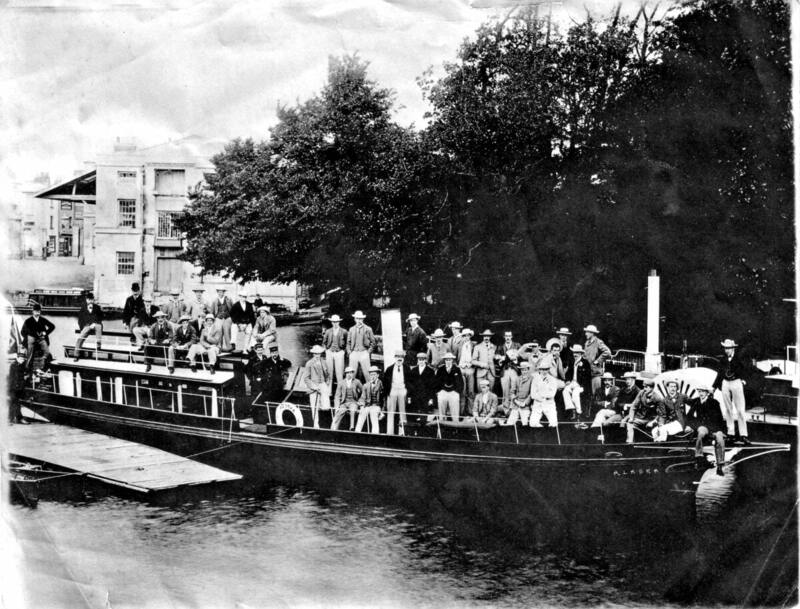 The first group excursions were between Oxford and Kingston-on-Thames and a joint enterprise with the Great Western Railway enabled circular river-rail tours for the growing excursion market. By the beginning of the 20th century, Salter’s was the biggest passenger-boat operator on the non-tidal Thames. It had also become known as a leading authority on the river and the surrounding area. It published The Salter’s Guide to the Thames, which was so popular that there were 37 editions during the production period of 1888 to 1968. By now the second generation, brothers John, James and George, had taken charge. They were Primitive Wesleyan Methodists, so no boats ran on Sundays and there was no alcohol on board. John and James were active in local politics, both becoming Mayors of Oxford during the Edwardian period. Of even greater political prominence was Arthur Salter, the son of James and a key figure in charge of shipping during both world wars and an MP before being elevated to the peerage as Baron Salter of Kidlington. 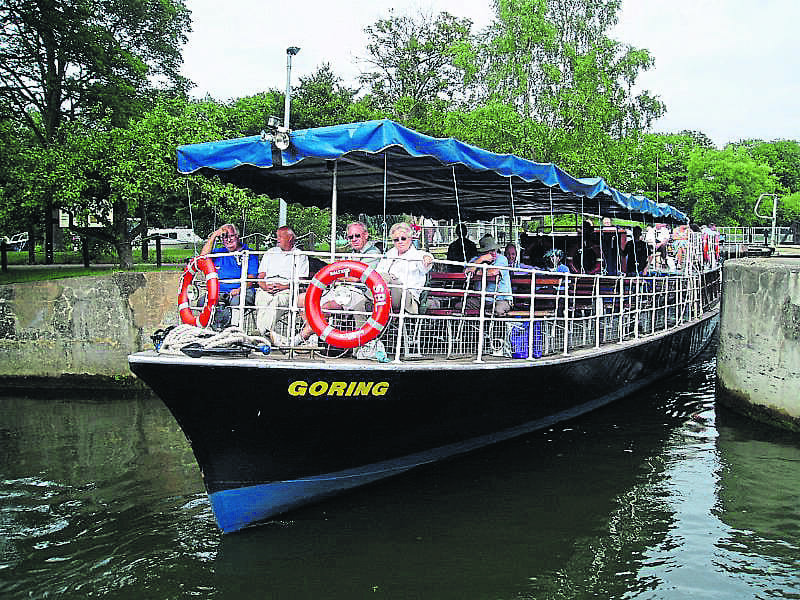 Goring, one of the Salter’s Steamers fleet. Oar, scull, punt-pole and paddle making was another activity in the first half of the 20th century, with boatbuilding and travel operations. But the boatbuilding ended in 1980. By then the rental boats included those for use on canals. Previous Post:Well, it beats catching the bus!